A mountain of soil and construction debris collapsed in the city of Shenzhen on December 20, destroying 33 buildings and leaving 100 people missing. The accident was not triggered by an earthquake or heavy rainfall. It was caused by the manmade pile giving way after collecting for two years with no safety inspections. The incident took place at the Hengtaiyu Industrial Zone in Shenzhen, north of Hong Kong. The soil dump has reached the height of a 20-story building. The pile consisted of soil and waste from construction, road building, pipe laying, and renovation work. On the day of the disaster the Ministry of Land and Resources said via its Weibo account that preliminary investigations had found a manmade pile of soil and construction waste, which was too large and too steep, had collapsed. The existing mountainside, however, was still intact. According to state media reports, specialists with the Guangdong government said the site of the disaster was a former quarry being used as a dump for unwanted soil. Although there had been some rain that day, it was not in theory enough to trigger a landslide. The initial finding was that the soil had been piled too high over time, and without safety measures. It was estimated the landslide had a volume of over 100,000 cubic meters. The Beijing Youth Daily newspaper reported that the local government approved the use of the site in February 2014, but with a time limit of February 21, 2015. 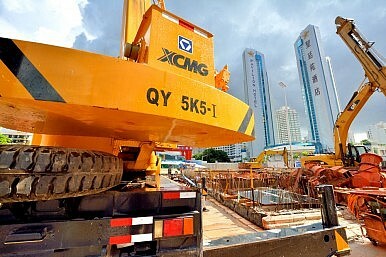 The use of the site for temporary storage was meant to relieve the shortage of waste disposal sites in Shenzhen. Temporary sites such as this are easy to get approved and can be put into operation quickly – permanent sites are much more complex and time-consuming to arrange. Nearby residents told reporters that hundreds of lorry-loads of waste were dumped daily, often working through the night, prompting repeated complaints about the noise. A toll collector received a 200 yuan fee for each load dumped, higher than the average daily salary of a worker. According to the Beijing Youth Daily, an environmental impact report published on January 12 2015 said there was a risk of the pile collapsing and of soil erosion, “threatening the safety of the hillside and slopes”, and recommended effective safety measures be taken. But it seems that report was not taken seriously. This disaster has highlighted the fact that there is nowhere in Shenzhen to properly dispose of construction waste – and shown the consequences of ignoring the problem and of improper handling. The building of transportation infrastructure, rebuilding, and widespread property development has meant increasing quantities of soil being excavated in the city – far more than the city is able to dispose of. According to one report, Shenzhen produces 30 million cubic meters of construction waste a year – 300 times the size of this landslide. Prior to 2001 this could be dumped on waste land, used to level off uneven ground, or in land reclamation. Now, however, all waste land has been built on, uneven ground is no longer uneven, and land reclamation projects have been completed, with new ones subject to strict restrictions. Shenzhen is a big city but is still smaller than Beijing, Shanghai, and Guangzhou, and is finding it increasingly difficult to find suitable dumping sites. According to the Shenzhen Evening Times, in October 2014, the city’s 12 dumps would be full within a year. And with a number of subway lines still to build, the problem will continue until at least of the end of the decade. Liu Qin is an editor in chinadialogue’s Beijing office. This post was originally published by chinadialogue and appears with kind permission. As rescuers try to dig out possible survivors, media question why the dump was still active despite safety violations.